Decatur, Georgia: Looking Glass Books, Inc, 2002. Book. As New. Hardcover. Signed by Author(s). 8vo -- 8.75 in Tall. As new, red cloth, gilt titling, b&w photos. Signed by author with his customary Biblical citation. Cathy writes about the Christian values that have guided the growth of his Georgia-based fried-chicken chain into a $1 billion business. 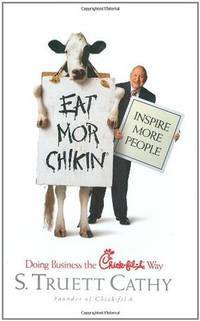 The title reflects the quirky marketing campaign that used a cow as a mascot..
Boston: Little, Brown and Company, 1999. Book. Good +. Cloth Strip & Boards. First Edition Stated.. 249 pp., 16 pp. glossy color and b&w photos. Library stampings, and first page excised. Text complete and clean. Binding sturdy. Mylar protector. Black slash mark on bottom and top edges. Car & Driver editor Brock Yates presents a mostly glowing account of the Harley-Davidson company, and the Harley lifestyle. 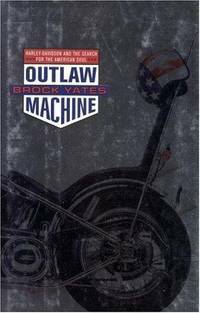 Includes material on the Hell's Angels but noting the outlaw clubs are 1 percenters, nothing more. Jacket blurbs include praise from the late Hunter S. Thompson. A discard from the DeBary, Fl., public library, lightly read. Size: 8mo -- 9.25 in..
NY: NY Times Co., 2002. Book. Good. 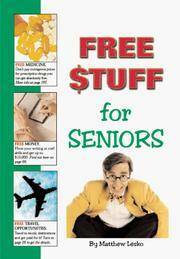 Newspaper Supplement. 146 pp. Moderate wear, some thumbing, but intact. Cover story by economist Paul Klugman is Part 1 of a 2-part series on growing income inequality in America. Coupled with a photo portfolio by William Eggleston showing middle-class life in 1965-74. Accidentally (or deliberately? ), the same issue includes a 46-page special advertising section featuring various mansions and penthouses for sale, in NY and elsewhere. Issue also has an article on Karl Rove's political work for George Bush. Size: 4to -- 11.5 In..
NY: Pantheon (Random House), 2010. Book. Good +. Cloth & Boards. First Edition Stated.. 290 PP. index, extensive reference notes. Although a library copy, this book has minimal wear and no markings except library discard stamps. Mylar protector. Jacket has historical photos of steel workers. 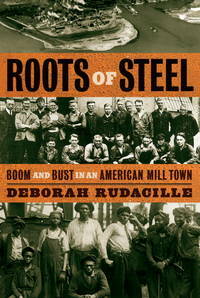 The author, a science writer who grew up near the Sparrows Point steel mill, combines personal narrative and sociological research to document how a mill town once prospered and then declined. Size: 8vo-- 9.5 In Tall. NY: Ballantine Books, 2001. Book. Very Good. Trade Paperback. 11th Printing.. 8vo - over 7¾" - 9¾" tall. 439 pp. Light rippling ofabout 20 rear pages. Txt OK. Binding firm, no markings. Includes a 10-page interview with the author. A historical thriller about a Jewish boxer who is a sort of bounty hunter in the rough and tumble financial world of 18th century London. The hero uncovers a stock fraud as he investigates his father's death. 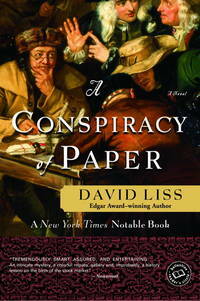 Marketed as a "New York Times Notable Book" with a laudatory cover blurb by Times reviewer Christopher Lehmann-Haupt. Size: 8vo - over 7¾" - 9¾" tall. NY: Random House, 1968. Book. Very Good. Cloth. 305 pp. Primer on Wall Street and investment theories. 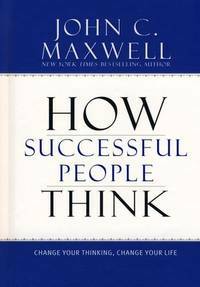 This lively book, written by a market insider using a pseudonym, debunks much of the technical esoterica surrounding the market. Size: 8vo - over 7¾" - 9¾" tall. Consumer Patriotism Corp., 2008. Book. Near Fine. Trade Paperback. 3rd Edition.. 503 pp. Nearly new, light spine crease, text clean and square. 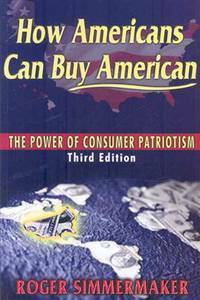 A consumer guide encouraging Americans to buy goods and services "Made in USA." Introductory chapter provides general information on how to find domestic merchandise. Later chapters list brand names for various types of US-made products. Includes bibliography. Timely infornation as US politicians continue to debate impact and desirability of free trade. Size: 8vo -- 8 in Tall. NY: Council on Foreign Relations, 2014. Book. Very Good +. Magazine. 209 pp. Close to new, spine uncreased. Cover story examines "Six Markets to Watch Now" (Economic prospectsfor Mexico, South Korea, Poland, Turkey, Indonesia, Philippines and Mekong region.) Also articles on social democracy's recent record in the U.S. (Obamacare, etc.) and a look at NAFTA from U.S., Canadian and Mexican perspectives. Book reviews examine nuclear weapon safety, immigration, the Great Recession and oil economics. Size: 8vo -- 10 in Tall. NY: NY Times, 2002. Book. Good. Newpaper Supplement. 138pp. Moderate wear, corner creases, some wrinkling. Package of articles on the US economy in the wake of the 2000 dots-com boom and bust. Case study of the eToy.com failure. by Michael Sokolove. A look at post-Enron Houston. Photo essay about various couples in various regions at the median income level of $54,000; "The Earnings Cult" by Harris Collingwood; Nobel laureate economist Joseph Stiglitz weighs in on globalism. Size: 4vo -- 11.5 In Tall. NY: Simon & Schuster, 1994. Book. Very Good. Trade Paperback. 1st Paperback Edition.. 332 pp. Very clean, sturdy, bookstore stamp on inside front cover. Paperback edition is a revised and updated version of the hardcover. Fidelity Investments guru Peter Lynch gives a basic introduction to the stock market and research techniques. Size: 8vo - over 7¾" - 9¾" tall. NY: John Wiley & Sons, 1999. Book. Fine. Cloth. 3rd Printing.. 240 pp., index, charts. As new, text clean. 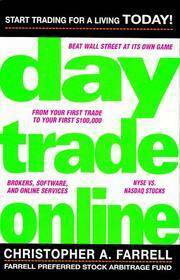 A hedge fund manager gives newbies the basics on starting a day trading venture at home. Introduction to technical terms. Heavy emphasis on maintaining discipline. Topics include: What stocks to trade, when to trade, when to stay out of the game, how to trade on margin safely; forming a strategy for your trades. Size: 8vo -- 9.5 In..
NY: Free Press, 1998. Book. Very Good +. Faux Leatherette on Boards. 40th Printing.. 557 pp. spine edge bumped, light wear to cover, but still new appearing. ; Text clean. Leatherette type cloth is richer looking than other reprints. Gilt titling on spine bright. 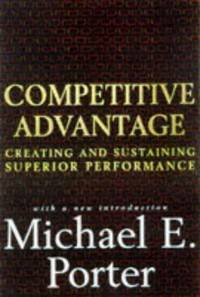 A Harvard business professor shows how to analyze a company by its various processes and price them competitively. Includes numerous diagrams and index. Size: 8vo -- 9.5 In. By Dusseau MA, John L.
Philadelphia: Saunders/Harcourt Brace Jovanovich, 1988. Book. New. Cloth. First Edition.. 269 pp. As new, scarlet cloth with embossed image of the Saunders Building, gilt titling. Tight binding, text clean. A detailed history of the W. B. Saunders medical publishing company in Philadelphia, along with a discussion of medical publishing trends in general. Includes many photos of its executives and authors. Chronology and index. Size: 4to -- 10 in Tall. Fort Lauderdale, FL. : Write Stuff Syndicate, 1996. Book. Fine. Leatherlike Cloth. 2nd Printing.. 197 pp. on glossy stock; bibliographic notes, index . Many color and b&w photos . As new. No markings. Promotional letter from Stanley CEO John Trani laid in. (reproduced signature). Appendix on collecting Stanley tools. 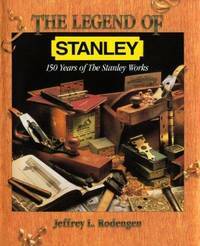 History of the Stanley Works tool company from its earliest days in New Britain, Connecticut. Published to mark its 150th anniversary. Size: 4to--11.5 In Tall. NY: Touchstone (Simon & Schuster), 2000. Remainder. Very Good. Trade Paperback. 5th Printing. 8vo -- 9.25 in Tall. 353 pp., about 30 pp. of notes and bibliography. Lightly read, slash mark on bottom edge. The average American is exposed to 3000 ads a day. 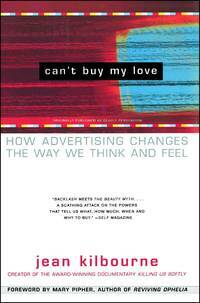 Kilbourne paints a gripping portrait of how this barrage of advertising drastically affects young people, especially girls, by offering false promises of rebellion, connection and control. The Boston researcher also has studied alcohol and tobacco ads. 8vo -- 9.25 in Tall.